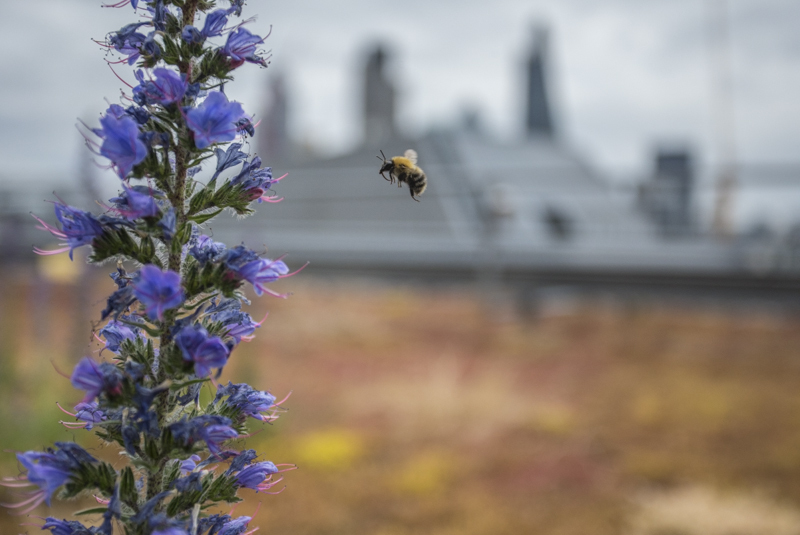 Let's make London greener, healthier and wilder! 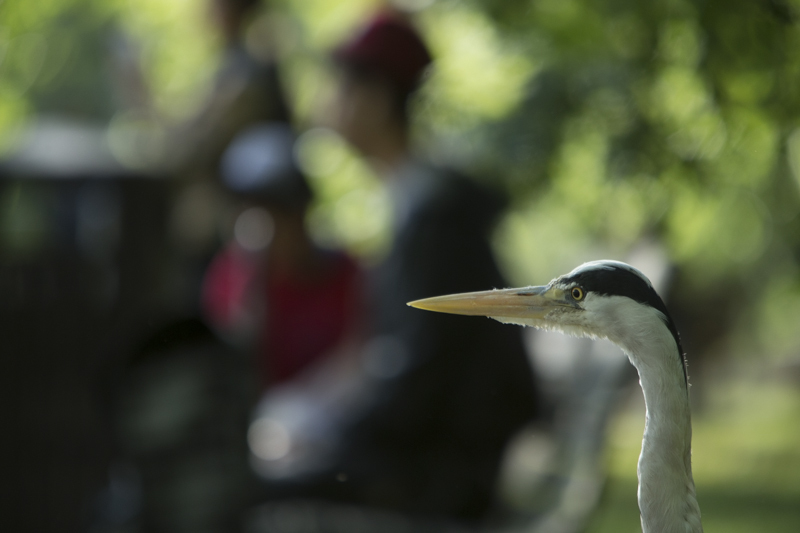 This summer London is becoming the world’s first National Park City and we need your help to spread the word - and to make it come alive . Help us hit our stretch target and we will reach and inspire even more people. We'll print and share more copies of our National Park City Maker Guide and will do some smart storytelling and advertising to have an even greater impact. Help make the London National Park City a success! 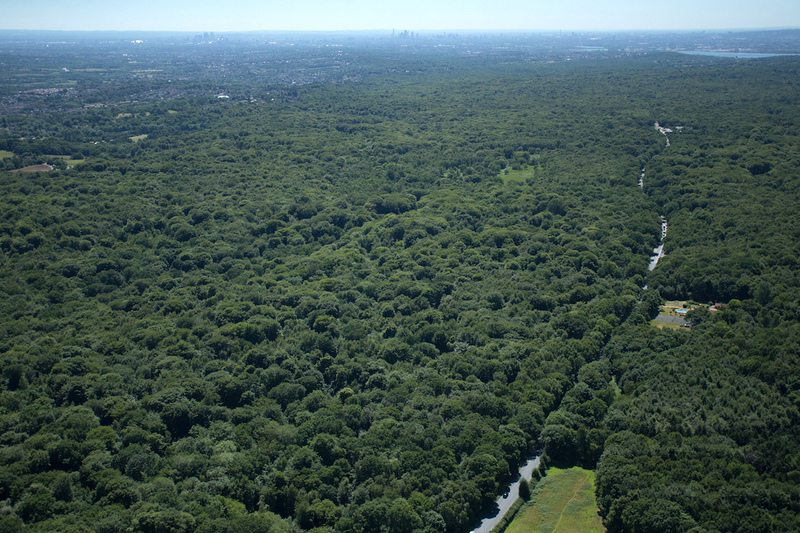 This July London is becoming the world’s first #NationalParkCity. This is an amazing opportunity. To make it a lasting success we NOW need your help to make it come alive so that ALL Londoners know about it and can play their part. 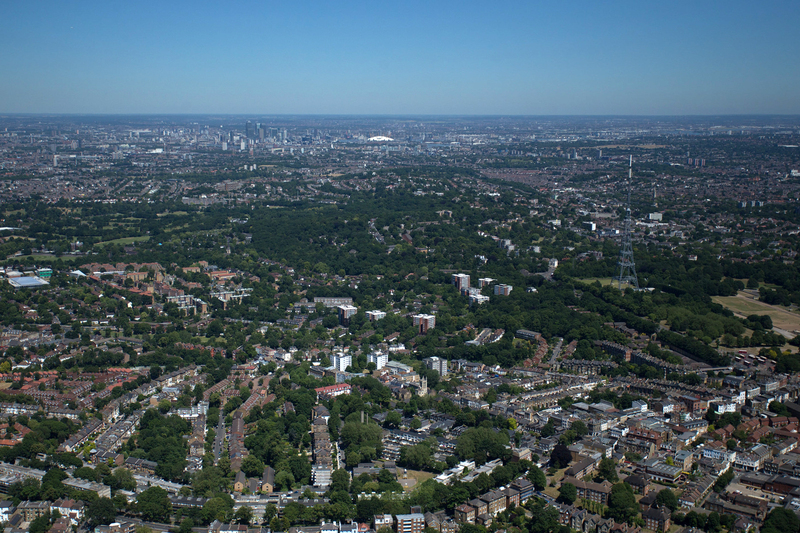 The idea of London being the world’s first ever National Park City started as a grassroots effort. Its greatest strength is that it has kept true to being a London-wide grassroots endeavour. None of this would have happened without the support of thousands of people who helped persuade the Mayor of London, most of the London Assembly and over 1,000 locally elected councillors to back us. Such political backing is great to have, but we cannot rely either on big budgets or traditional media to get our message out. That’s why we NOW need your help to publish National Park City Maker, a newspaper-sized guide to making London life greener, healthier, wilder and better in so many ways. According to a YouGov poll, 7 in 10 Londoners think the National Park City will improve life in London. 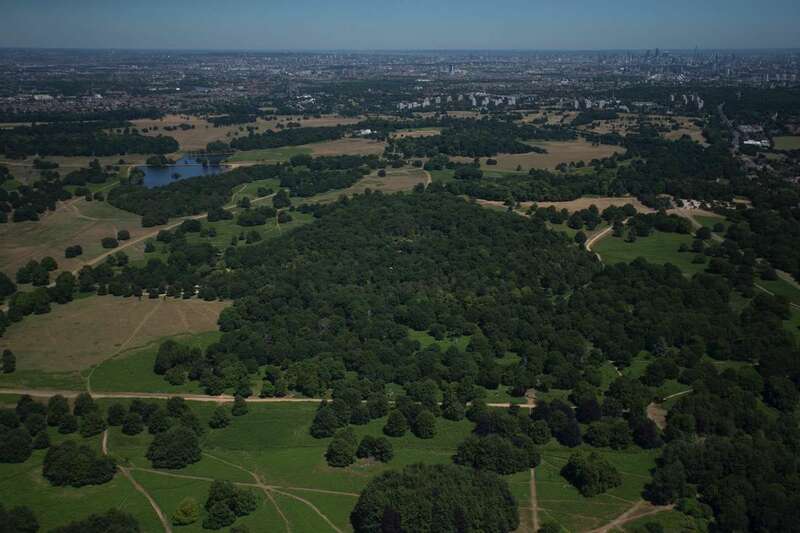 Despite this support, only 1 in 10 Londoners knew that London is becoming a National Park City. We need to change that. We want all Londoners to know about the London National Park City by the time it launches in July. This crowdfunding campaign will make a significant contribution towards hitting that target. Back in 2015 we ran a bold crowdfunding campaign to help make London the world’s first National Park City. Many people told us that we were “bonkers”, but 347 individuals and organisations bravely backed us and helped to fund and publish 50,000 copies of our newspaper sized proposal. Since then, we’ve grown a small movement and together, using the proposal, we’ve secured the support required for London to become a National Park City. Now - as we prepare for London ACTUALLY becoming THE world’s first National Park City this summer, we need YOUR help to spread the word, inspire more people to get involved and make life better in the capital. We want EVERY Londoner to know about the National Park City, how they can benefit from it and what they can do to help make London amazingly more green, healthy and wild. To help do this we’re going to repeat our successful 2015 campaign to create, print and distribute a newspaper-style guide. In 2015 we did this to successfully lobby politicians. In 2019 we are doing this to reach as many Londoners as possible. Every National Park City Maker will be a guide for anyone who wants to enjoy London’s great outdoors more and make the city greener, healthier and wilder. This may be for your own lifestyle, for your street or for a local organisation. Either way, National Park City Maker will provide the inspiration and advice needed to start transforming the city we know and love. The newspaper format is important. We found that our 2015 paper helped us to reach people who are not online, beyond internet bubbles and meant that we were not dependent on traditional media to get our important message out. Our aim is to print and distribute at least 50,000 copies of the guide, but we'd like to get 100,000 circulating around the capital. If each of these papers is seen by an average of four people, we will reach 400,000 Londoners. That would be about 1 in 25 people. If we can achieve that, we will have the opportunity to tip the balance and make something amazing happen in our city. You could choose to get copies of National Park City Maker for everyone on your street, in your building or inside a group or organisation. Doing so could create some focussed energy where you live. If we raise enough money, we'll print more copies of the guide and do some strategic advertising to help reach even more people. The London National Park City is a place you can explore, a vision you can share and a movement you can join. The National Park City Foundation is the independent charity that has formed to help residents and visitors make it a success. We are inspired by the aims and values of the UK’s national parks, but are distinctively different. The London National Park City properly recognises the value of urban life and the power of people in the city to take actions to improve life within the city. 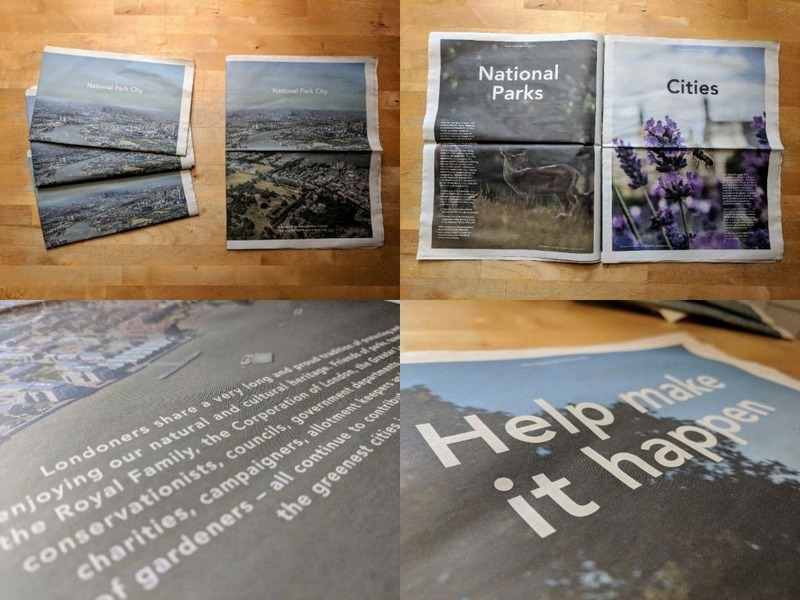 You can find out more about the London National Park City on our website and see the paper that was crowdfunded by 347 backers in 2015 here. We want National Park City Maker to have the greatest possible impact. The more we can afford the more we can print and distribute. So please do give generously. It’s not just about the money though. We need help to distribute copies of National Park City Maker to influencers, organisers and leaders. If you are reading this... this is almost certainly you. 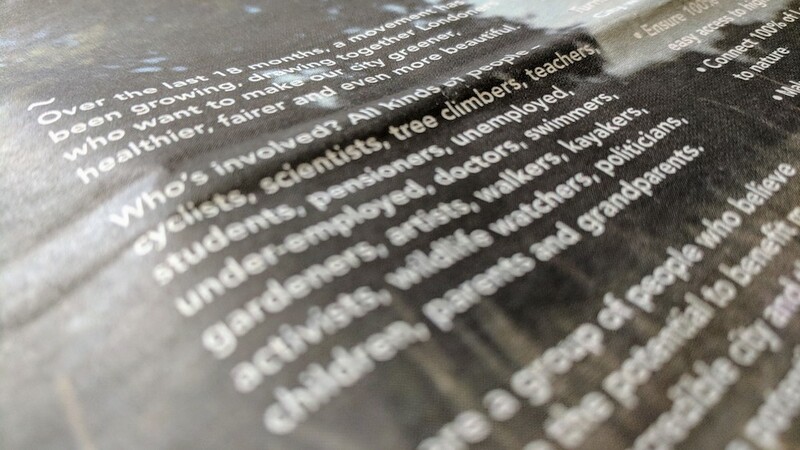 It’s also gardeners on your street, teachers, local politicians, celebrities and business leaders, but also children who want help London’s wildlife. 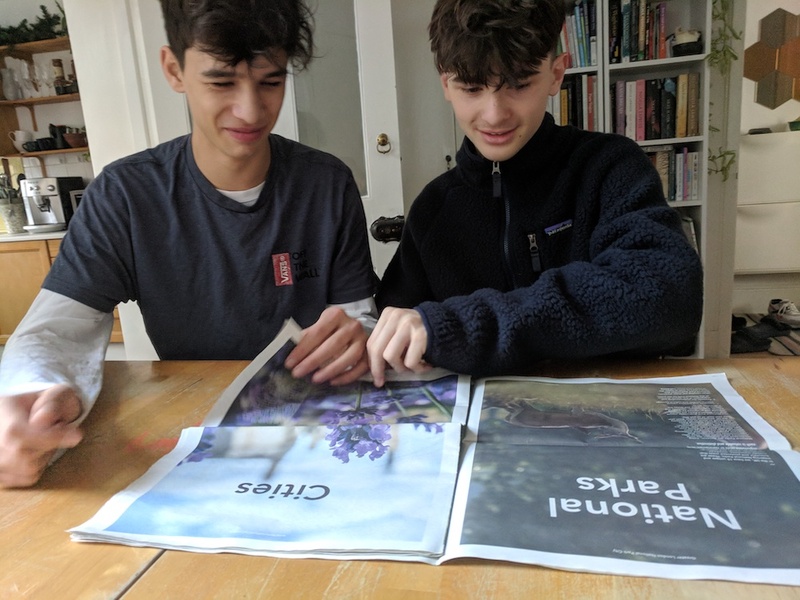 You can choose to either fund and distribute copies of National Park City Maker yourself, as part of a team or when you contribute to the crowdfunder you can indicate that you would like others to distribute them. We need to raise money to pay for the design, production, printing and distribution of the papers. The more money we raise, the more papers we can print and the more people we can reach. It’s as simple as that. If the campaign goes incredibly well, we will try to reach a stretch target so that we can get our message out in other ways too. We’ve set up the National Park City Foundation, a registered charity, to help make the London National Park City a success. 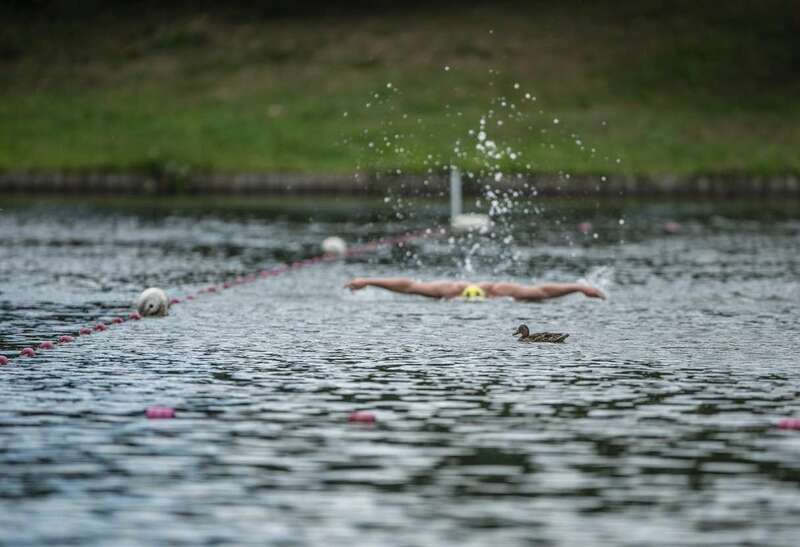 All of the money raised by this crowdfunding campaign will be used to raise awareness of the London National Park City and to get more people involved with making the city greener, healthier and wilder. Can you help to distribute 50 or more National Park City Maker Guides to leaders and influencers in your community? If so, please sign-up for our newsletter and make sure you've ticked the "volunteering"option. We will be reaching out once this crowdfunding campaign ends. The main reason for supporting this campaign is to help us get the word out about the London National Park City. That's our mission. The more you can give the more people we can reach, it’s as simple as that. You can receive copies to keep or share. You can also request for our volunteers to distribute copies for you. We're going to be placing a Founders' Stone in a publicly accessible place in London. Back us for £50 or more and your name will be engraved as a Founder onto this historic monument. Donate any amount and, if you want, we'll thank you in print at the back of the guide. Seen our great t-shirts? Back our crowdfunding campaign and you could get one! Our wooden National Park City asters* are a smart and great way to show your support. They will be about 10cm across and perfect for putting in a window for people to see. Group or organisation that shares our aims and values? Make a contribution at the right level and we'll add your logo at the back of the guide. Pledge £50 or more and we'll give you priority access to a future event or three! Discover how to engage an audience, whether internally or externally, around the table at a meeting or a public presentation with the WholeStory. 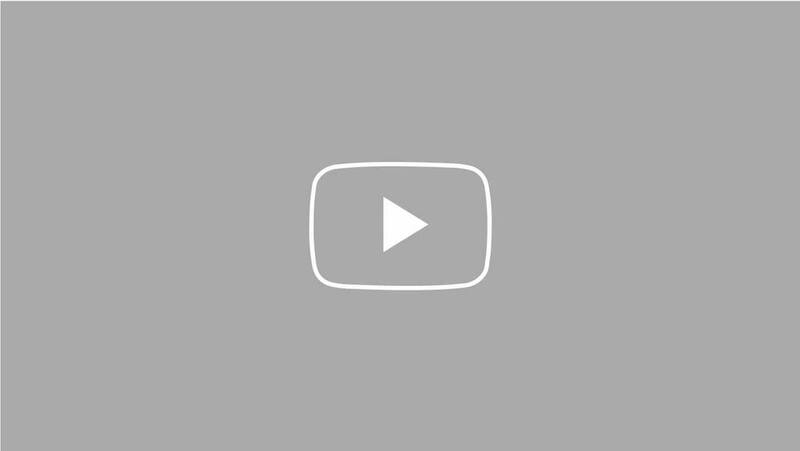 The tools and techniques of storytelling help you explore, structure and then communicate your messages clearly, authentically and memorably. Select full day (7 hrs) or half day (4 hrs) workshops for up to 16 people are highly participative and fun, with all participants leaving with a 5 minute presentation they can deliver without notes or powerpoint. Clients such as the NHS, EY, the National Trust, Warner Bros, the British Library and Royal London have all benefited from our approach, getting the most from storytelling within diverse contemporary work. Bespoke to a postcode of your choosing we will customise the giant, colourful National Park City Map just for you. Daniel Heath Studio and Urban Good have teamed up to produce these walking and cycling radiuses in gold foil - a reminder of how close so many amazing green spaces are by foot or cycle. The flat maps look amazing on the wall, and this new addition is both subtle and striking. 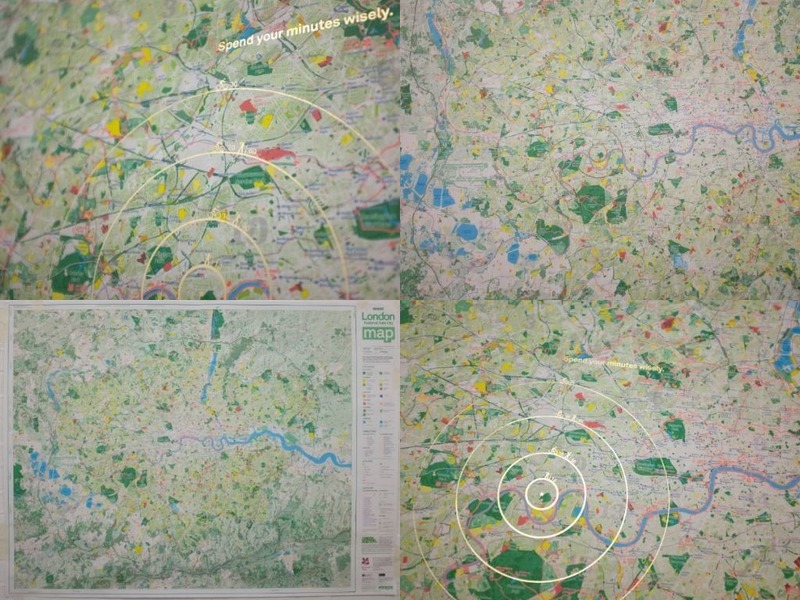 It doesn’t distract from the map, but when it catches the light it draws attention to where you are and your local parkland. Pick which London postcode you want the golden circles centred on and choose whether or not to have the strap-line “Spend your minutes wisely”. Limited edition 1-40. If gold is not your thing, see the reward which lets you choose the colour of your rings. Pick from green, blue, red, purple, yellow, orange, grey, black or brown. Limited edition 1-30. Get a unique National Park City inspired wildlife mural painted by fantastic street artist ATM. You'll need to have a wall for it to be painted on. ATM will discuss with you the London animal you would like to have painted. Your crowdfunder contribution includes all reasonable costs, including ATM's time and paints. There are two rewards to choose between. Pick between a ground level mural (not more than 3 metres above ground) or one that needs scaffolding (and is no higher than 9 metres above around. When will the National Park City Maker guide be delivered? We plan for this to be before the end of April. Can I help to distribute them? We need lots of people to help us get them into the hands of people who will read them. If you can help us, please sign-up for our newsletter and make sure you've ticked the "volunteering" box. We'll be reaching out once this crowdfunding campaign has ended. Is the National Park City Foundation a registered charity? Yes. Our registered charity number is 1173267. Are you on Twitter, Facebook or Instagram? Yes. Here we are on Twitter, Facebook and Instagram. Our hashtag is #NationalParkCity. Why are you printing on paper? We want to reach as many people as possible, so we've decided to use the newspaper format. We are printing on recycled paper. We can't rely on the traditional media to get our message and we are keen to reach beyond our internet bubbles and to people who are not online. While printing on paper is not ideal, it allows us to have a deeper and more detailed relationship with our audience. In addition, we've found that the paper acts as a great physical device for triggering conversations. So, we're printing on recycled paper. You can help us maximise the benefits by making sure copies get to people who will read and keep them, or pass them to other interested people when they are finished. Can any organisation contribute to the crowdfunder? We may choose to return donations from companies that do not share our aims or meet the National Park City Foundation's standards. If you are in doubt, please ask us first. Can you tell me more about the YouGov poll? All figures, unless otherwise stated, are from YouGov Plc. Total sample size was 1,027 adults. Fieldwork was undertaken between 13th - 16th November 2018. The survey was carried out online. The figures have been weighted and are representative of all London adults (aged 18+). We'll be sharing more data from this poll in the future. Are you a small community group? Chip-in £50 and we'll add your logo to the thank you page at the back of the Guide • Choose between DONATING or RECEIVING 50 copies of the Guide. If you choose to donate, we will still send you two printed copies • We'll also send you a National Park City Maker t-shirt • a wooden supporter's aster* for a window • engrave your group's name on the Founders' Stone. Are you a micro organisation with just a couple of members of staff or a tiny budget? Chip-in £100 and we'll add your logo to the thank you page at the back of the Guide • Choose between DONATING or RECEIVING 100 copies of the Guide. If you choose to donate, we will still send you two printed copies • We'll also send you two National t-shirts • a wooden supporter's aster* for a window • engrave your name on the Founders' Stone. Bespoke to a postcode of your choosing we will customise the giant, colourful National Park City Map just for you. Daniel Heath Studio and Urban Good have teamed-up to produce these walking and cycling radiuses in colourful rings. Pick a colour and the London postcode you want the circles centred on. Limited edition 1-30. For gold foil maps scroll down! Bespoke to a postcode of your choosing we will customise the giant, colourful National Park City Map just for you. Daniel Heath Studio and Urban Good have teamed up again to produce these walking and cycling radiuses in gold foil. The flat maps look amazing on the wall, and this new addition is both subtle and striking. It doesn’t distract from the map, but when it catches the light it draws attention to where you are. Limited edition 1-40. Are you a small organisation that shares our mission? Chip-in £500 and we'll add your logo to the thank you page at the back of the Guide • Choose between DONATING or RECEIVING 500 copies of the Guide. If you choose to donate, we will still send you a box of 50 printed copies • We'll also send you 4 National Park City Maker t-shirts • a wooden supporter's aster* for a window • engrave your organisation's name on the Founders' Stone. Discover how to engage an audience, whether internally or externally, around the table at a meeting or a public presentation with a half day workshop from theWholeStory. See the full description in the main body of this page. • We'll thank you or your organisation at the back of the Guide. • Choose between DONATING or RECEIVING 50 copies of the Guide. If you choose to donate, we will still send you two printed copies. Donate £1000 or more and you'll be invited on a very special walk and dinner with special guests and the people who have led the London National Park City campaign • You'll get two unique National Park City t-shirts • copies of the Guide • and if you would like, the names of 10 people printed on our "thank you page and engraved on the Founders' Stone. Discover how to engage an audience, whether internally or externally, around the table at a meeting or a public presentation with a one day workshop from theWholeStory. See the full description in the main body of this page. • We'll thank you or your organisation at the back of the Guide. This can include a logo. • Choose between DONATING or RECEIVING 200 copies of the Guide. If you choose to donate, we will still send you 50 printed copies. Are you a large organisation that shares our mission? Chip-in £2,000 and we'll add your logo to the thank you page at the back of the Guide • Choose between DONATING or RECEIVING 500 copies of the Guide. If you choose to donate, we will still send you a box of 100 printed copies • We'll also send you 10 National Park City Maker t-shirts • a wooden supporter's aster* for a window • engrave your organisation's name on the Founders' Stone. Got a big wall? Street artist ATM will create a beautiful London wildlife mural for you. He'll chat with you about which London animal to paint. It will be painted up to a height of 3 metres. Scroll down for another option. We'll thank you in the Guide and you'll help fund hundreds of copies to be distributed in London too. Got a bigger wall? Street artist ATM will create a beautiful London wildlife mural for you. He'll chat with you about which London animal to paint. It will be painted using scaffolding up to a height of 9 metres. He'll chat with you about which London animal to paint. We'll thank you in the Guide and you'll help fund hundreds of copies to be distributed in London too. Are you an awesome organisation that shares our mission? Chip-in £5,000 and we'll add your logo to the thank you page at the back of the Guide • Choose between DONATING or RECEIVING 5,000 copies of the Guide. 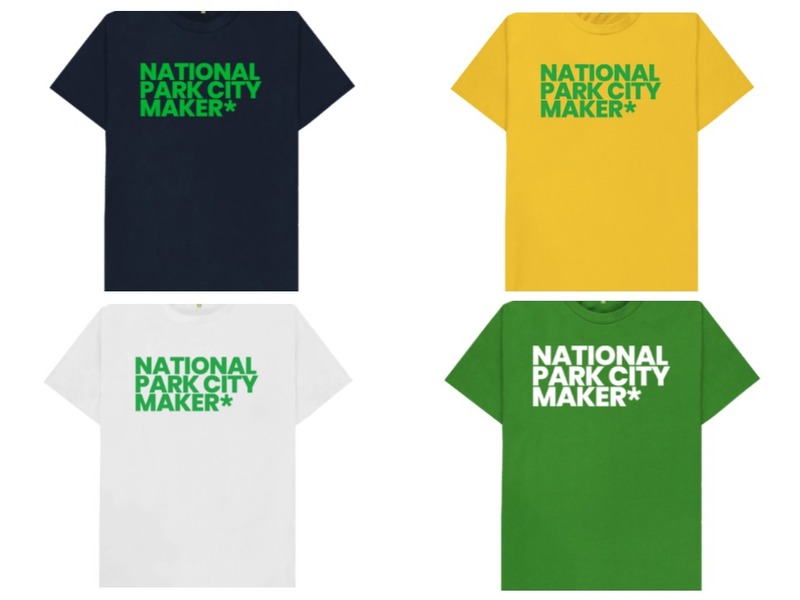 If you choose to donate, we will still send you a box of 100 printed copies • We'll also send you 20 National Park City Maker t-shirts • engrave your organisation's name on the Founders' Stone • + do something special for you - ask! Would you like to collaborate with us in a bespoke way? Contact us and let's see what we can do together to reach as many people as possible.